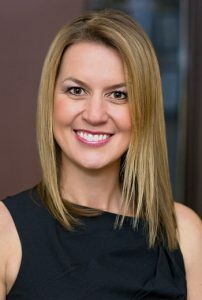 After graduating with her doctorate from the University of Illinois at Chicago School of Dentistry in 2006, she completed a year-long residency at the University of Colorado. During this time, she became skilled in IV sedation, wisdom teeth extraction, dental implant placement, and restoration. She later became director of the General Practice Program and an associate professor at the University of Colorado. Since going into private practice, Dr. Kutis has been recognized as a top dentist by several organizations, including Denver’s 5280 Magazine, Consumer’s Research Council of America, and the International Association of Dentists. In addition to her other continuing education courses, she has become a Dawson Academy Scholar and a member of the prestigious Faculty Club of the Spear Study Club, which is only awarded to 1,000 dentists nationwide. Although she has enjoyed success and accolades in her profession, Dr. Kutis enjoys giving back to her community through the CDA. Every year, dentists in the CDA volunteer millions of dollars of dental services to those in their community who can’t afford dental care. Most of these services are coordinated for specific events, including Give Kids a Smile Day and COMOM. Give Kids a Smile Day is a free day-long event when children from low-income families can get necessary dental treatment. This event can include treating patients within the office or offsite at a nearby clinic, giving presentations at schools, and much more. Other staff members at dental practices can volunteer as well, helping more children get access to these important services. Unlike Give Kids a Smile Day, COMOM uses a large-scale portable dental clinic to offer needy children, adults, and the elderly dental care on a first-come, first-served basis. Volunteers and patients alike are changed as a result of this annual event. With over 125 chairs available, CAMOM serves as many people as possible with quality dental treatment that they can’t otherwise access otherwise. Although the CDA doesn’t not award grants to individuals, twice a year, the CDA accepts grant applications for funding for non-profit dental organizations and community oral health projects. Moving forward, we know that Dr. Kutis will serve diligently on the charity arm of the CDA to help our fellow Coloradans receive the dental treatment they desperately need. For more information about her volunteer services, contact our office at (303) 973-1112 or click here. Dr. Susan Kutis leads a dedicated team of dental professionals who can provide comprehensive dental care for patients of all ages. From preventive checkups to more complex smile makeovers, she and her staff can handle all your dental needs. To make an appointment with her, call (303) 973-1112 or click here.